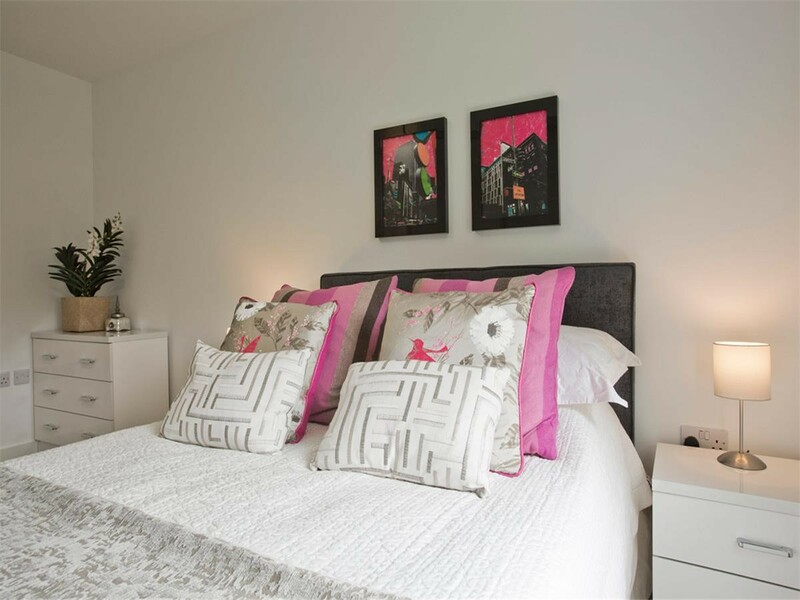 This ground floor, generous 2 bedroom 'Concept' apartment measures 670 sq. 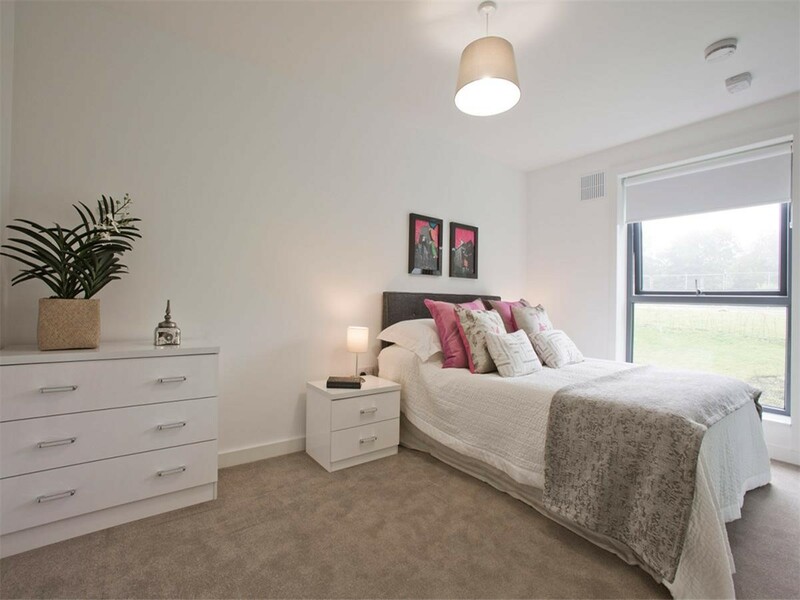 ft. and is perfect for sharers, thanks to the two equal size bedrooms. This 'Concept' apartment has a unique ‘loft-style’ layout, which maximises the open plan living area. The German kitchen comes fitted with energy efficient Neff and Bosch appliances, and all your crockery and cutlery is included! 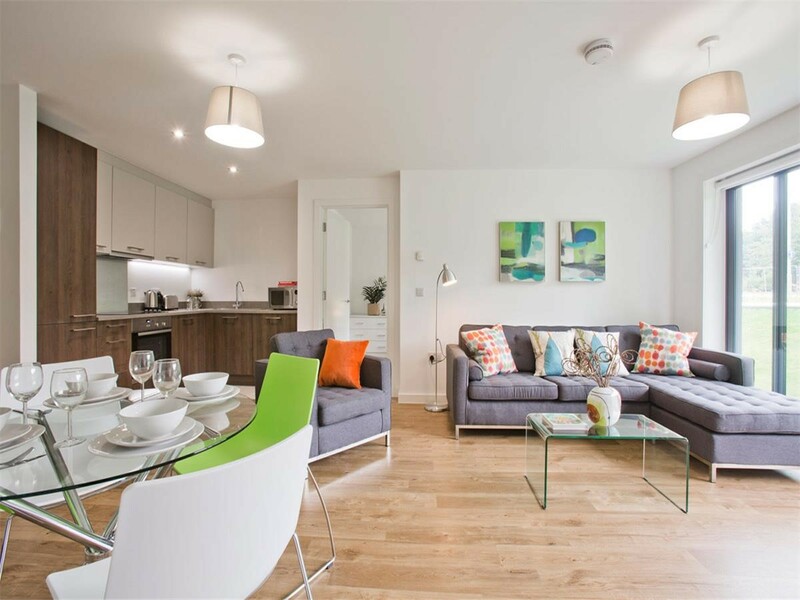 The living space is fitted with a grey corner sofa and matching arm chair, glass coffee table and a dining table. 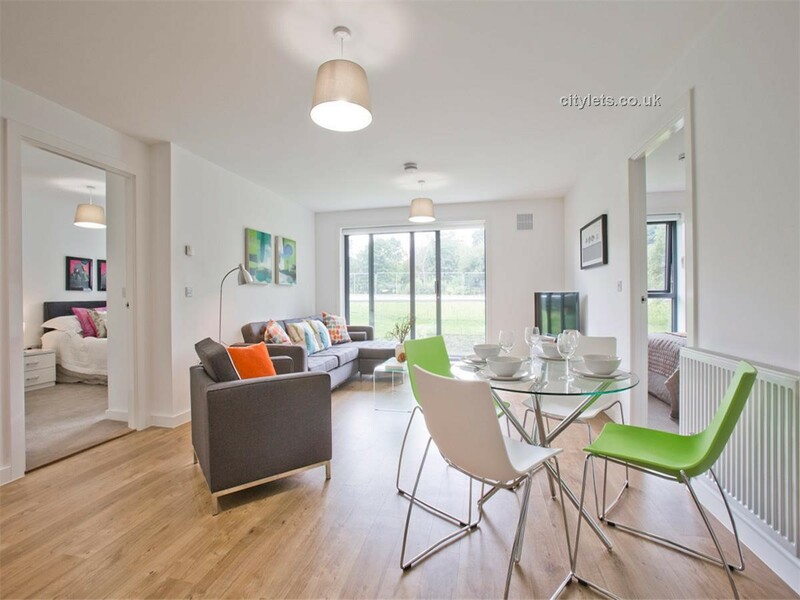 The living area opens up onto a spacious terrace with views of landscaped gardens. 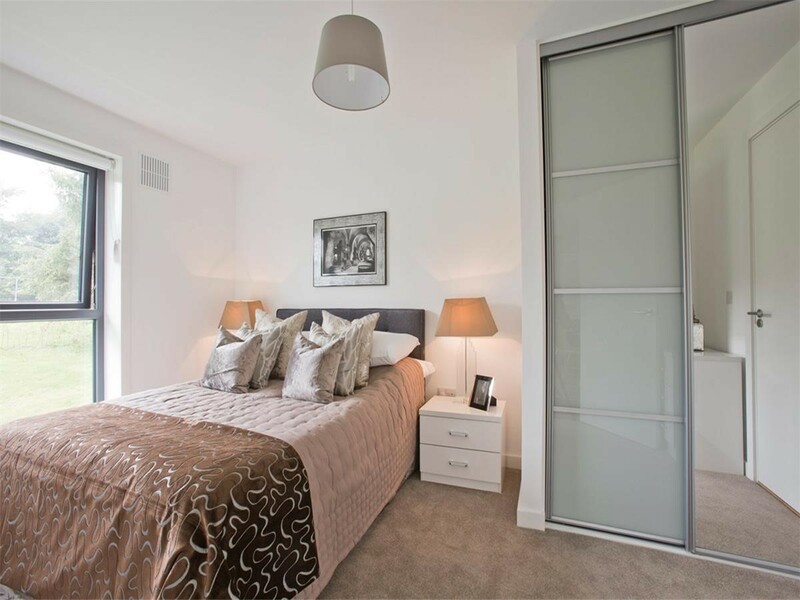 There are two almost equal sized bedrooms with built-in wardrobes, so no-one has to compromise. 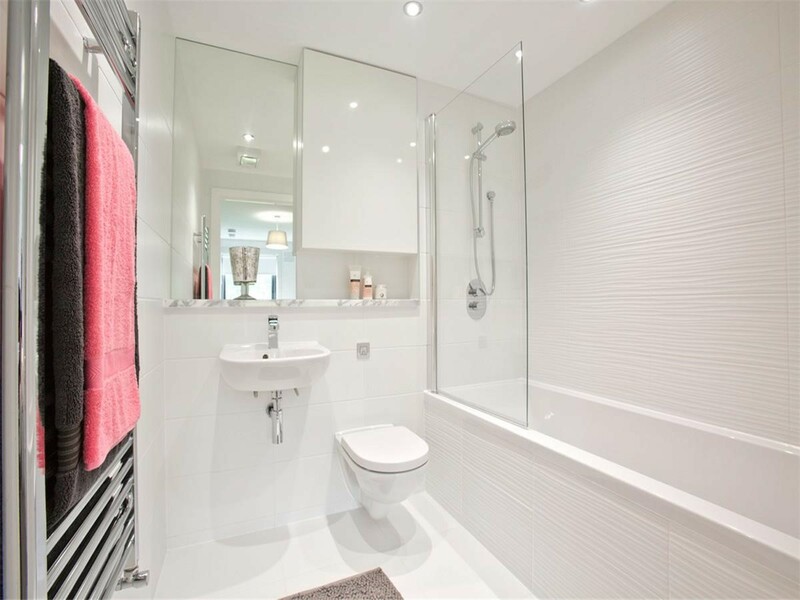 Each bedroom has direct access to their own bathroom /shower room making getting ready in the morning a little easier, and the bathroom/shower rooms also feature plenty of practical storage space with built-in vanity units. 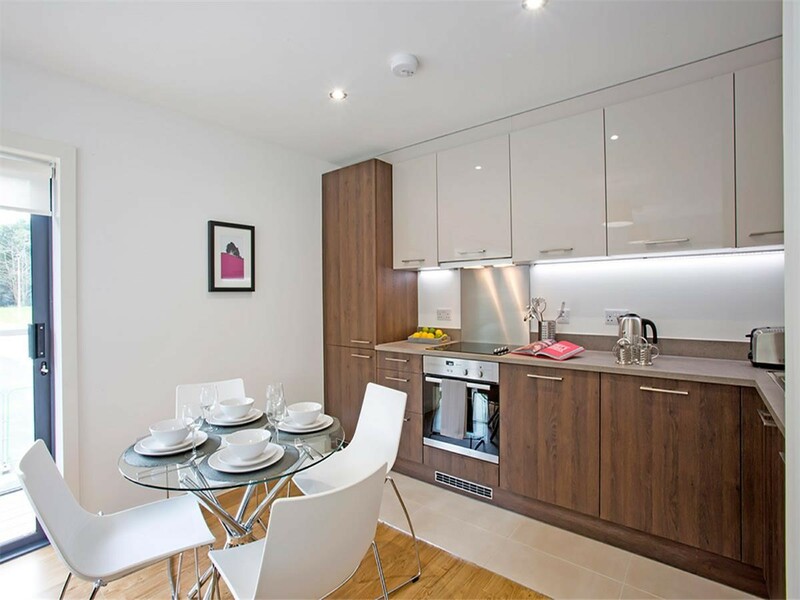 This 2 bedroom apartment comes with free high speed broadband and one dedicated parking space.